Black Spice is not coming back, and fans of the Jamaican reality TV star are beyond furious over the update. Recently, Grace “Spice” Hamilton, of Love and Hip Hop: Atlanta fame, made jaws drop when she decided to reveal her new skin color. The talented singer opted to bleach her skin to have a lighter complexion. Spice originally claimed that she made the drastic move as a stunt to promote her new single, “Black Hypocrisy,” which focuses on colorism. 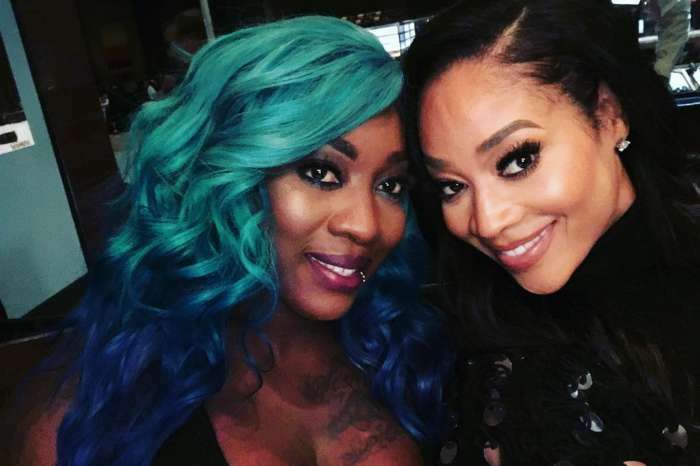 However, this week, Spice shared a post that saddened many of her fans because it seems like the change of skin color is here to stay. She said: “Want you to know that I see all the comments. Now every one begging me back for the “Black” spice but did they appreciate the “black” spice when I was repping for dark skin women for 30 years? When I should have been encouraged and thanked I was being dragged for my complexion by the same black women. So should I haunt you with #coconutmilk for 30 more years? I hear some say ok spice we get it now and I learn my lesson but have you? They say it’s Makeup but is it? On my way to wash my van , but want you to know that I see all the comments.Now every one begging me back for the "Black" spice but did they appreciate the "black" spice when i was repping for dark skin women for 30 years ? when i should have been encouraged and thanked i was being dragged for my complexion by the same black women. So should i haunt you with #coconutmilk for 30 more years ? I hear some say ok spice we get it now and i learn my lesson but have you ? They say it's Make up but is it ? Captured mix tape drops this friday Nov 2nd and so will the truth. A recent study revealed that about 11 percent of Jamaicans had bleached their skin. More men than women use bleaching products despite health experts’ warning that the chemicals such as mercury are harmful to their health. Many famous Jamaicans artists such as Vybz Kartel and Alkaline have bleached their skin.